At Doggy Dates, we understand the importance of reliable and trustworthy dog walking. Dover dog owners trust Doggy Dates with routine dog walking, dog training, doggy playdates, and overnight stays for households with one or more furry friends. If you work long hours and need someone dependable to come to your home and take Fido for a walk, Doggy Dates is your solution. Our dog walkers in Dover are 100% committed to our canine clients and will show up on time, every time. Whether you’re looking for a responsible and caring individual to be your dog walker in Dover or are instead interested in dog walking jobs in Dover, Doggy Dates is your solution. If you’ve considered pursuing a career or a second job dog walking in Dover, now is your chance. Our team of friendly dog walkers, doggy day care supervisors, and dog sitters is always looking for new members who love dogs as much as we do. If you’re interested in joining the Doggy Dates team, continue reading. Working with dogs is different from an office position in many ways – for the better! However, taking on dog walking jobs in Dover means you’re committed to the pups under your care. At Doggy Dates, we hire responsible, reliable dog walkers who always show up when scheduled. We realize you can’t plan for emergencies. We merely ask that you don’t leave our clients (canine and human) hanging without notice. Reliability is key for a successful dog-walking career. Unreliable employees don’t simply hurt business – they hurt the dogs that need routine walks. If accountability is in your nature, we want to hear from you. When you become a team member at Doggy Dates, you join a group of people as dedicated to dog health and happiness as you are. We only hire individuals who have a passion for dogs and who want to help them live life to the fullest. 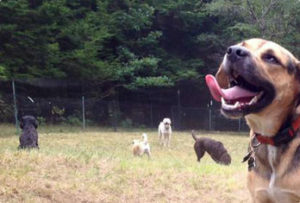 On top of being a part of something fantastic as a dog walker in Dover, you’ll enjoy job stability and a steady income. Since our start in 2011, we’ve acquired hundreds of loyal customers who trust us with their dogs. Read our testimonials. Working for Doggy Dates gives you access to dog walking in Dover and throughout Massachusetts. Our team of caring professional dog walkers comes to work each day with a smile. It’s hard not to smile when working with dogs and puppies all day, but a positive attitude is a must at Doggy Dates. Our clients treat their dogs like family, and we expect our dog walkers in Dover to do the same. If walking other people’s dogs sounds like a chore, Doggy Dates might not be the best fit. If caring for and walking dogs soothes your soul, join our team! Dog walker. As a Doggy Date dog walker in Dover, you’ll be responsible for driving to a client’s location and walking one or more dogs around the area. Our dog walkers decide when they want to walk dogs, how many dogs they can walk at a time, and other details. Professional dog walkers need the physical stamina and know-how to walk someone else’s dogs with confidence. Playgroup supervisor. We’re famous for our doggy playdates. Doggy playgroups give dogs an opportunity to play together and socialize in our safe, fenced acre of farmland at our Dover facility. As a playgroup supervisor, you’ll pick up dogs in our custom Doggy Dates vehicle and bring them to our privately owned play area. There, you’ll supervise the dogs in your care to ensure they’re playing safely and interacting in a healthy way. Dog trainer. We hire certified and entry-level dog trainers to work with our client’s pups on common behavioral issues such as jumping, pulling, excessive barking, inappropriate social play, and poor recall. Doggy Dates’ trainers personalize the training experience, tailoring it to fit each individual pup’s needs. Our trainers are knowledgeable about positive reinforcement and other modern training techniques. Overnight dog sitter. If you’re comfortable having dogs stay in your home overnight, dog sitting at Doggy Dates may be for you. Our overnight services involve feeding, playtime, walks, and lots of cuddles. We never expect you to have more than a few dogs in your home at one time, so you can give the proper attention to every dog. Whether you’re looking for dog walking jobs in Dover or are open to offering a variety of services, consider Doggy Dates. Our employees do what they love and love what they do. Find out what positions we have available. Think You Have What it Takes? Apply to Be a Dog Walker Today! If you need a dog walker in Dover you can trust, come to Doggy Dates. We only hire dog walkers in Dover we know are reliable, efficient, and loving. Our No. 1 priority at Doggy Dates is the happiness of your furry family members. No matter what type service suits your pup, we can handle it. Our pricing is competitive and affordable, with no hidden fees. Our dog walkers and sitters will always keep you informed about your dog during services, communicating with you frequently and sending you photos if desired. Like us on Facebook to keep up with our doggy adventures in Dover and the outlying area. If getting paid to play with dogs sounds like your dream job, come to Doggy Dates to start professional dog walking. Dover job applicants can get in touch with us at (781) 801-2526.